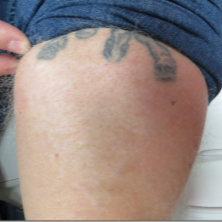 Welcome to Clear Out Ink Laser Tattoo Removal, the Leader in Las Vegas Tattoo Removal. 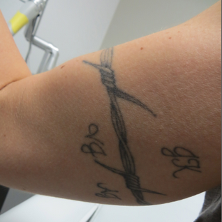 Clear Out Ink Laser Tattoo Removal has good news for you. You are not alone and we can help! 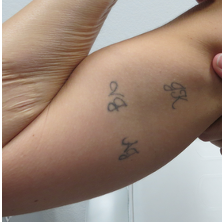 Tattoos have been a tradition in America as well as other countries for centuries, but in the last decade, the results in tattoo removal have improved tremendously. Since the intentions of tattoos were meant to be permanent, it is extraordinary that they can now be removed! 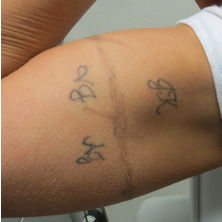 With the advancement of laser technology, skill, and patience, your tattoo will begin to dissipate more and more each treatment! At Clear Out Ink Laser Tattoo Removal, we thrive on your satisfaction and in addition to knowing that Clear Out Ink uses the latest most advanced technology in the industry of tattoo removal, we want you to know that your tattoos are being removed by a qualified Laser Certified Technician and Laser Safety Certified owner and operator. We also have a MD onsite to answer any medical questions that you may have. Why choose Clear Out Ink? Independent Practitioners on-site for all of your cosmetic needs including, plastic surgery, laser hair removal, skin abrasion, skin tightening, Botox, an exquisite hair salon, and more! For some Americans, getting a tattoo symbolizes a huge change in their lives. Some designs express freedom, truth, hope, faith, and courage amongst others and represent certain times of your life or experiences you want to commemorate. Regardless of the reason for getting one, whether not to get it removed, may end up being a tougher decision compared to your initial decision to get your tattoo. To help decide if tattoo removal is a good fit for you and your situation, we’ve put together some of the top reasons we see for people wanting to remove their ink? No worries if this fits your situation, it’s common and a part of our nature to want to get tattoos to symbolize our love for another. But ultimately, that love or relationship can change and to have it permanently on our body is no longer an option for your future. For that, we’re here to help you remove that symbol of the past and wipe the slate clean so you can move on without the reminder. Often, we see people spend months and countless hours planning out their tattoo. Then, when it hits their body, it’s just not the right fit, and they’re feeling regret instantly. We see this a lot, and it’s not your fault. The tattoo industry doesn’t really help either. We’ve heard all kinds of comments from “it didn’t come out like the drawing, to I hated it immediately after the artist finished, the place I put it just isn’t the best; the color isn’t right.” It’s common and to expected that of the millions of tattoos done every year some won’t turn out as planned or just right. Unfortunately, there’s no regulatory body for tattoo artists. Fortunately, there are regulations for having tattoos removed. And, we hold the highest credentials for having tattoos removed that you can get. 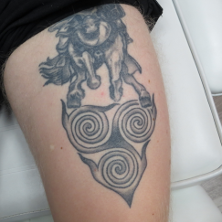 Every member of the Clear Out Ink team is certified to operate our laser, and we take every possible precaution to ensure the safe and efficient removal of your tattoo. Poor tattoo quality. Picking and deciding for a great tattoo that singularly display its essence is a fantastic feeling. So, if there is a failure in achieving the exact tattoo design; removing it is next in line. There are tattoos as well that fade after a couple of years due to changes in body structure and other skin conditions that could arise. Getting a Job and Tat Placement | Is it hurting or helping your professional appearance? It’s an unfortunate fact, but sometimes people can’t see past physical appearances, and judgments are made about you merely upon how you look and the clothes you wear. In the past years, tattooing has gone from an outlaw norm to mainstream acceptance. In fact, according to the American Academy of Dermatology, 50% of people in their 20’s have inked their bodies’ with some tattoo. In most job settings, there are strict rules regarding how employees present themselves. Dress codes are rigorously enforced in most professional settings. Any tattoos or body piercings should be covered meticulously, which most of the time is difficult to do, especially if the tattoos or piercings are meant to reveal or show themselves. From RealSelf testimonials we can see quotes like these in regards to tattoo locations and the poor choice of ink location. 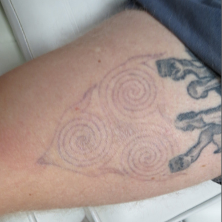 “The tattoo itself is very well done and looks great, but I can’t help but think I made a HUGE mistake with the size and location.” Read entire story here. We all make impulsive and poor decisions. | But, we’re not always bound to living with the results. Sometimes tattoo cover-ups can go wrong. 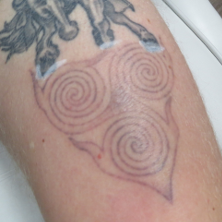 | We can help you get your tattoo ready for the right coverup and the right design that’s a better fit in your life. 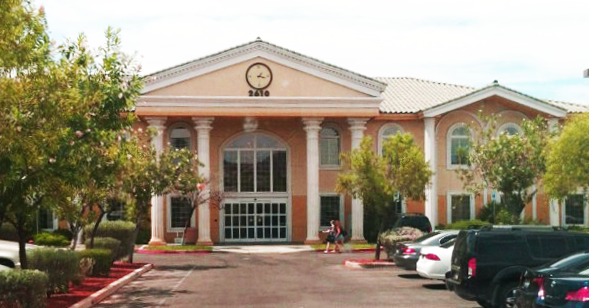 We at Clear Out Ink, serve the communities of Las Vegas, Henderson, Paradise, North Las Vegas, Sunrise Manor, Spring Valley, and Enterprise Nevada. 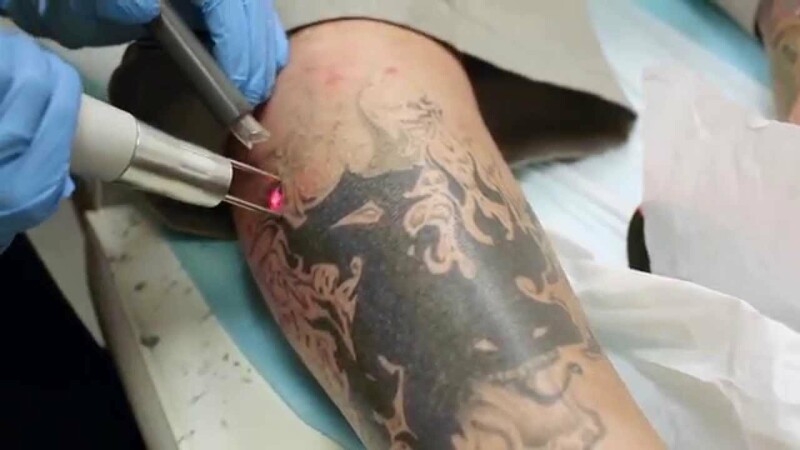 Stop in and see us for you laser tattoo removal needs and we’ll make sure you have the absolute best experience possible for removing that unwanted ink. Want to see what we can do, then check out our before and afters. We use only the best technology on the market and we’ll be glad to talk with you about how the process works and what you can expect. Additionally, don’t let pricing hold you back from learning more. Every tattoo is different and we do pricing based on the amount of ink present that we’ll have to treat. Our pricing starts at $49.99 so stop in and see what we can do to help you out.